We combine multiple energy sources which work to deliver energy to your muscles, and carefully balanced electrolytes to enhance your body’s ability to absorb water during exercise, maintain your endurance performance and protect against cramp. Use before sport to prepare and during sport when you are sweating heavily and need energy and hydration fast. For easy mixing use SiS sports drinks bottles which have markers to indicate the correct level of powder. 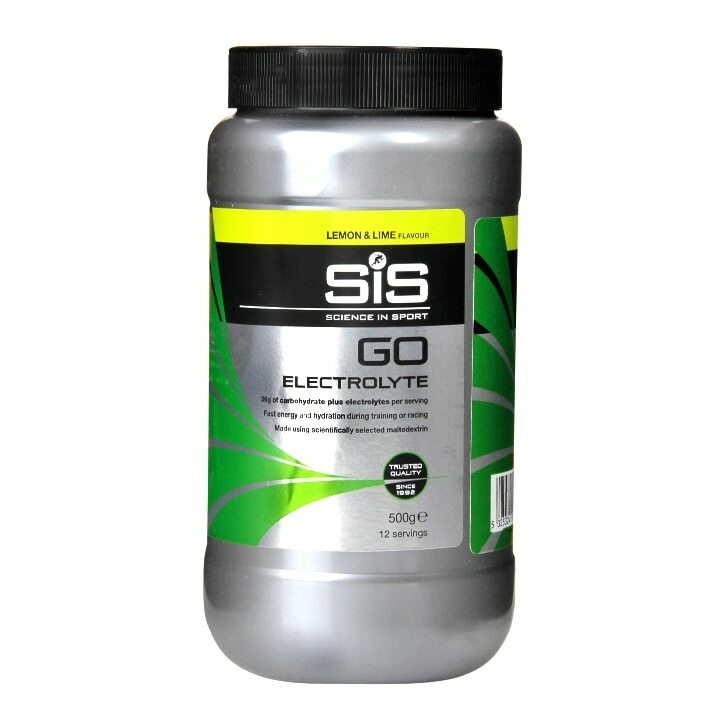 Or, add 40g of SiS GO Electrolyte (2 scoops = 40g) to 500ml of water in a sports drinks bottle and shake well ensuring the lid is firmly closed. Drink 500ml every 45-60 minutes of exercise or as required. Once prepared, consume within 24 hours. Carbohydrate mix (92%) (Maltodextrin (produced from partial hydrolyses of a special variety of Maize), Fructose), Natural Flavouring, Citric Acid, Electrolytes (2%) (Sodium Chloride, Calcium Lactate, Potassium Chloride, Sodium Citrate, Magnesium Lactate), Sweetener (Aspartame). SIS Go Electrolyte Lemon & Lime is rated 4.0 out of 5 by 1. Rated 4 out of 5 by Rhys from Mixes well in a bottle I use this mainly on my bike as it tastes nice and mixes well.